This event will officially begin the holiday season for Green Bay’s Broadway district. The trees will be lit simultaneously at 5PM that Saturday night. Imagine the suspense as you wait for an entire street to light up! That’s not all that’s happening at Green Bay’s Lighting Ceremony on Broadway. There will also be live music and a visit from Santa on the corner of Broadway and Hubbard. Plus, visit Santa’s workshop, take a free hayride, eat s’mores and take advantage of all of the other free family fun at local stores on Broadway. The Broadway shops will stay open until at least 8:00PM. Enjoy the live window displays as you shop! 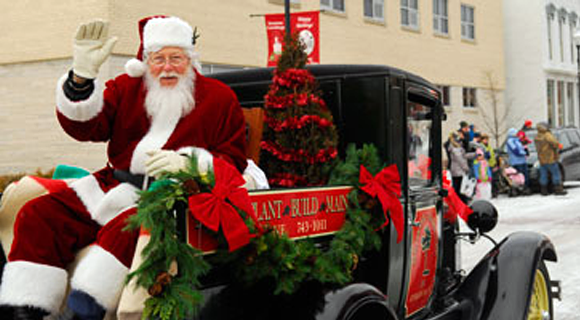 Christmas by the Bay is a citywide event that takes place annually in Sturgeon Bay. Watch as the 50 foot Christmas tree is lit up on Friday night with live music from 6-8PM. 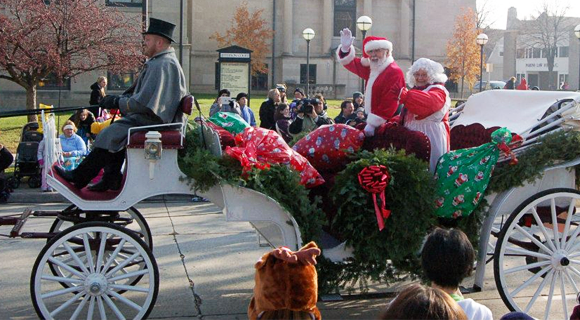 The Santa parade is on Saturday morning at 10AM, followed by kids activities and hay wagon and trolley rides. There will also be brunch with Santa on Sunday morning! 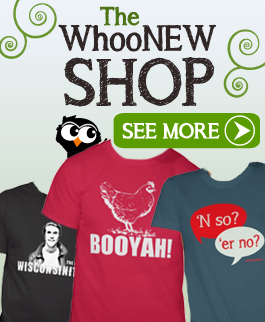 The specialty shops in the area offer gift ideas and special extended hours. There will be local music to entertain folks in the half hour leading up to the parade. And marching bands, huge floats, balloons and watch as Santa passes by. After the parade, get a complimentary picture with Santa and the Minions, watch Despicable Me 2, ice skate on the city deck and grab some pizza by the slice and free cocoa at Hagemeister Park. The Breath of Christmas Home Tour will give you holiday inspiration and creative ideas for your own home as you take a gentle horse and carriage ride through the quiet Ledgeview neighborhood. You’ll tour beautifully decorated homes created by some of Green Bay’s most creative local design boutiques including Ethan Allen, Jennifer Elizabeth Designs, Burst, Ebb and Flow, So Baby, Homestead Decor, Buds ‘n Bloom and more. At each home, you’ll hear carolers and musicians as you shop for unique specialty gifts for sale from popular local vendors! Enjoy homemade bakery items and an à-la-carte cafe menu for lunch. Tickets are available at most of the local design boutiques. This holiday light display has won an award for Best Local Charity Event of Winnebago County. 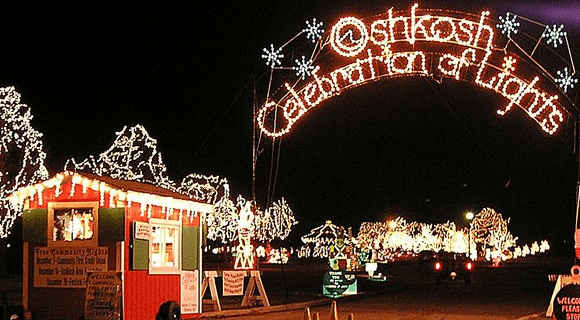 The Celebration of Lights brings out the magic of the season as you journey a mile through Menominee Park – decorated with nearly a million twinkling lights, a 100-foot Christmas tree and sculptured scenes. I even heard there would be live reindeer! Plus, Santa will be visiting many nights during the Celebration of Lights. It’s the perfect time to snap a fun holiday picture with Santa in a glowing outdoor setting like this! You’ll also get to visit the Elves Hideout for games and crafts for the children. 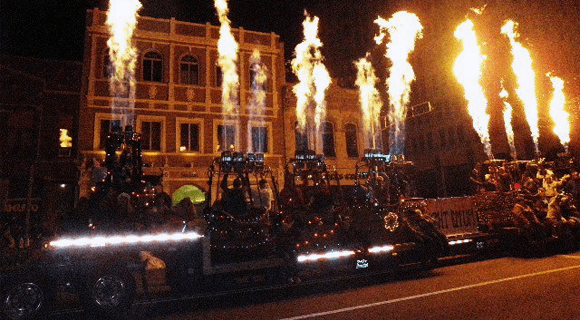 Celebrate Christmas at the largest nighttime parade in the Midwest — the 45th Downtown Appleton Christmas Parade! It’s The Night of Family Traditions theme this year and Walter Rugland will be the parade marshal. There will be bands, floats, dancers, live animals and more. The Santa Scamper 1-mile run follows the same route as the parade starting at the corner of State Street and College Avenue and it starts at 6:25PM. After the parade ends, a Christmas tree lighting ceremony begins at nearby City Park. Santa and Mrs. Claus will be handing out candy canes, there will be live reindeer, choirs of Christmas carolers and music as you watch the lights illuminate the park. This holiday season, take an electric candlelight tour through scenes from the treasured holiday fairytale — The Nutcracker. 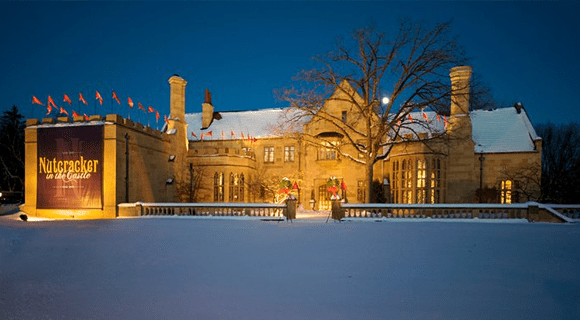 More than 70 glowing Christmas trees and winter wonderland scenes will help light the way in the Paine Art Center and Gardens located in a historic mansion in Oshkosh. With your candlesticks in hand, you’ll guide yourselves through the decorated rooms in the shimmering “castle”. Each room represents a different Nutcracker scene that helps you bring the fantasy of the childhood Christmas dream to life. There will also be special actor-guided tours featuring live music and youth ballet performances. Plus, this year, enjoy delicious confections from the new Sugar Plum Fairy’s Cupcake Factory, which the director of marketing at the Paine calls “the land of the sweets”. Hot cocoa too! Kids absolutely love this event! There’s nothing quite like a Door County Christmas. 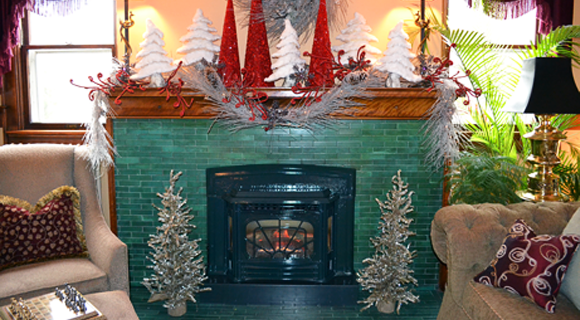 Holly Days kicks off with a breakfast with Santa at Landmark Resort. Then horse-drawn carriage rides will be departing from Mojo Rosas from 10AM-4PM. There’s more Christmas action in the afternoon at Harbor View Park beginning at 4:30PM. See Santa, hear holiday music and join in the Christmas sing-a-long as you watch the old-fashioned tree lighting. There will also be free Christmas cookies and hot cocoa to take care of your sweet tooth. Saturday — children’s activities will start at 10AM in specific shops off Highway 42. You can do kid things like Christmas cookie decorating, button making, face painting and write letters to Santa. Both days as you shop, kids and adults will have a chance to win prizes in the “Elf Hunt” and “Mistle-Dough” contests. If your kids are 12 or younger and good at spotting elves, they’d have a blast with this. If you plan to do some Christmas shopping and would like to win up to a $65 gift certificate to use at local shops in Egg Harbor – sign up for the Mistle-Dough Contest and collect Mistle-dough tickets with every purchase for your chance to win. The Reindeer Drop is the whole reason I want to go to Holly Days! Everyone who donates $10 will be given a number between 1-100 and will represent a square on a grid that has been painted on the lawn at Lena’s Lot. The numbers will be randomly placed in each square and the “reindeer” will enter the grid at 1PM. The first square to get soiled in Reindeer droppings is the winner of a very awesome cash prize. I never thought I’d be so excited to watch an animal poop! If you love the sight of Christmas trees, the Festival of Trees is a good one for you! 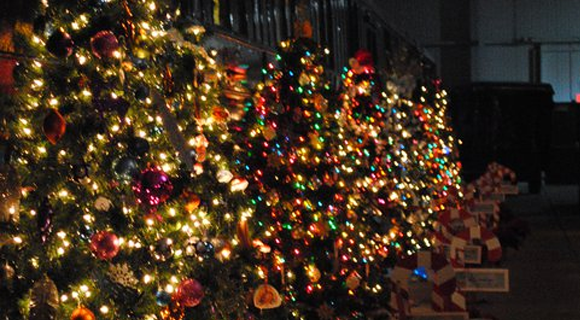 The National Railroad Museum has nearly 30 trees on display that have been decorated by area businesses. Check them out among the historical trains of the Lenfestey Center and enjoy the regular attraction the museum has to offer during your visit. Plus, get discounted admission through the holiday season! The Merry-Time Festival of Trees in Door County is also very worth your time. Dozens of decorated Christmas trees will be scattered throughout the Maritime Museum’s galleries. Plus, all sorts of special festival events through the holiday season that the kids will love! Check it out. 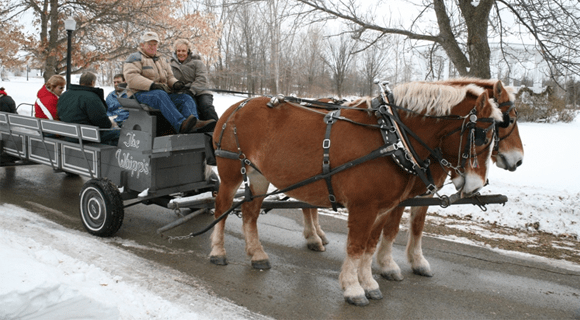 Walk or take a horse-drawn wagon ride on the .8 mile trail through the dazzling winter landscape of the Green Bay Botanical Gardens. 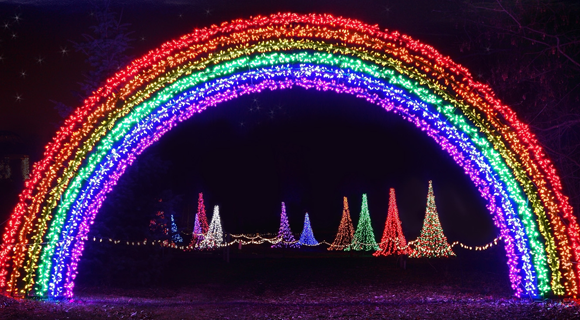 The WPS Garden of Lights is lit up with more than 250,000 lights and unique butterfly, dragon, flowers, and other beautiful botanical displays. Stop off to warm up by the outdoor fire pit after the ride. And grab some homemade soup, hot apple cider and other refreshments inside at the Winterberry Cafe. You can even get your hot chocolate with Baileys or Peppermint Scnapps! 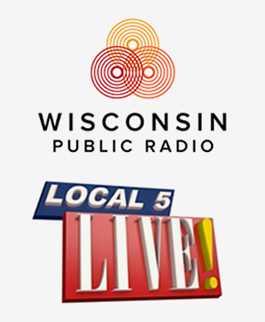 While you’re there, you’ll get to hear live holiday music performed by a variety of local entertainers. If you plan to take the entire family, the little ones will probably love the G-Gagers model train exhibit, plus they’ll get to sit on Santa’s lap to tell him all their wishes! FYI — When our family went last year, we were glad to have gotten our tickets in advance. There was a pretty long line to wait in otherwise. When you get to the Museum, take a stroll through all the decorated trees in the Festival of Trees, explore the trains and your kids can play a variety of “Reindeer Games”. The show begins with the Hot Chocolate Dance and a cup of hot chocolate for you. Then, listen to a dramatic reading of the original Polar Express book with illustrations. After that, it’s “All Aboard” to take a real train ride to the magical North Pole. On board the train, the adventure continues with holiday songs and animated train crew. Once you get to the North Pole, you’ll get a private visit with Santa Claus. Just don’t forget to wear your pajamas for this event! And I’m not joking. 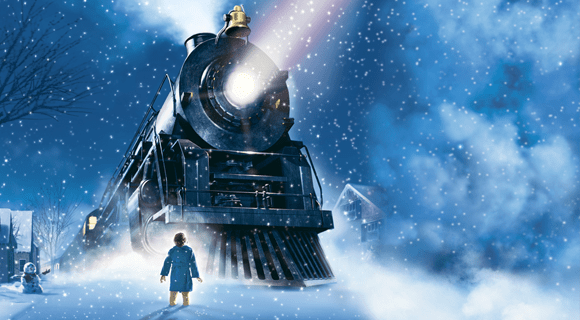 As far as I can tell, tickets are still on sale for the Polar Express at the National Railroad Museum this year. The past six years in a row the event has sold out, and tickets usually go on sale starting in July because of popularity. Here’s a more laid back way to get into the Christmas spirit. 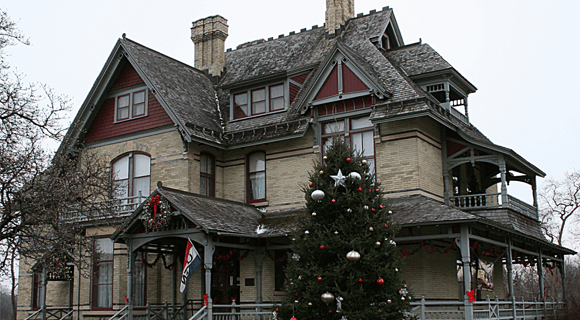 If you like Victorian style Christmas carols like Silent Night and The First Noel, stop by the Hearthstone Historic House Museum in Appleton sometime this season to check out the Musical Victorian Christmas event. Each year there’s a different theme. This year’s theme is exploring the five senses. The library shows people skating and sledding. You’ll see Christmas caroling and music upstairs. The dining room shows people feasting and gathering. Other areas illustrate different Christmas cards, gift exchanges, and popular ghost stories like Charles Dickens’ A Christmas Carol. 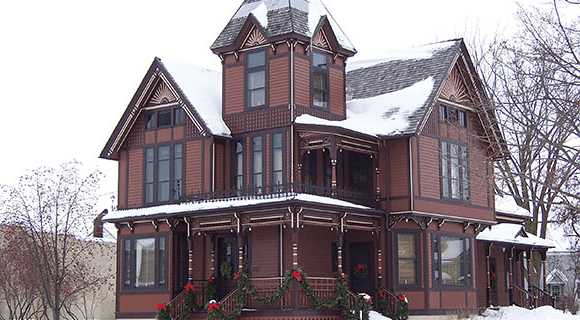 The Herman C. Timm House was built in 1873, and is a Stick-Style Victorian home with Queen Anne Style architecture. The Timm House is listed on the National Register of Historical Places in New Holstein, WI. Take a Christmas tour through this historic home featuring trees and decor that represent “The Land of Oz” theme. Each room will be decorated with “OZ” items that have been collected for more than 45 years. Enjoy the displays, festive music and holiday treats! Gather round and watch as Santa Claus arrives by helicopter to the EAA Museum! 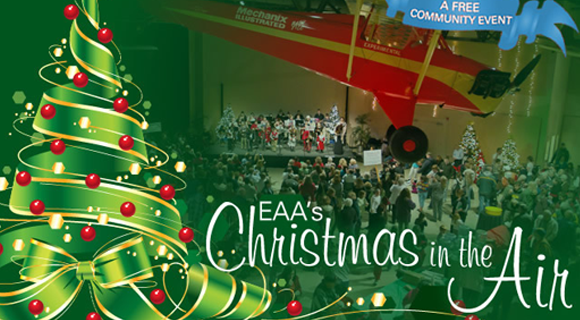 At EAA’s Christmas in the Air event, you’ll get to see festive performances by local musical, choral, and dance performances including one from Funny Little People. Have some free milk and cookies, join in the chocolate tasting, and stop by a variety of vendors. There will be storytelling in the Eagle Hanger and classic Christmas movies playing in the Vette Theater all day long! The kiddies will get to listen to favorite holiday stories, and write their letters to Santa in various areas throughout the museum. This event is free, but non-perishable food donations are encouraged. 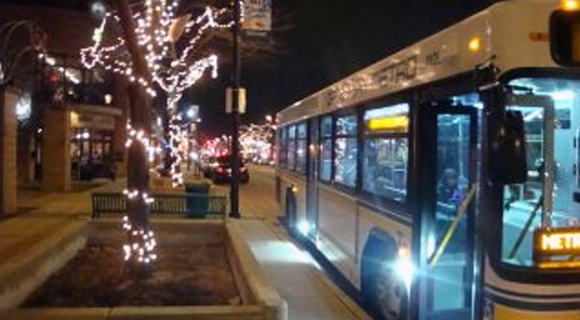 Take a warm Holiday Lights bus tour through Green Bay’s illuminated Downtown, Olde Main and Broadway districts – as well as the bright sparkly neighborhood of Astor Park. Experience lots of Christmas lights and window displays and listen as caroling groups add a touch of Christmas spirit to the ride. The bus will be picking people up every half hour from 5-8PM at the Daily Buzz Coffee Shop on the corner of Broadway and Hubbard. Perfect place to grab a cup of coffee or hot chocolate before or after your tour. There will also be a pick up this year at the Urban Frog at 163 N. Broadway on Thursday only. This short bit of fun is a perfect activity for your family, as a little twist to your date night, or anyone wanting a little holiday cheer! Oh, and did I mention this is free? Yep. It’s free! Stop at the Menasha Memorial Building next to Smith Park for the annual Holiday Hayride! You will pass many beautifully decorated homes on Menasha Island. 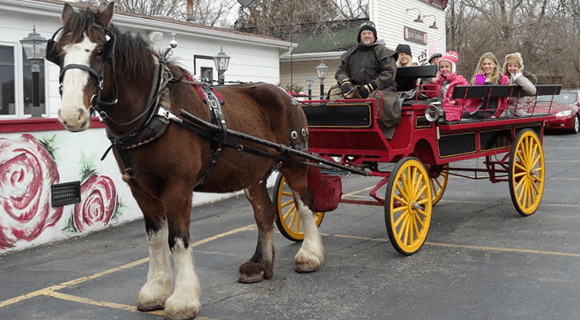 Then warm up with a free hot beverage and cookies inside the Menasha Historical Society where you’ll hear festive music of Christmas carolers. You’ll also get to see fun displays, visit with Santa and Mrs. Claus and see live reindeer. ‘Tis the season! FYI – This must be a popular event because in past years, the spots filled up fast! You can get your tickets for $1 (kids 2 & under are free) at the Menasha Parks and Recreation Department at City Hall, 140 Main St. Call 920-967-3600 to check availability. 60 tickets for each time slot will go on sale starting November 2nd through December 4th. Make your way downtown Neenah for the Community Christmas Event if you’re looking for a good way to celebrate the holiday with the whole family! It starts off with the Rudolph Run – a family fun run/walk from Shattuck Park to the Christmas tree at Gateway Plaza. 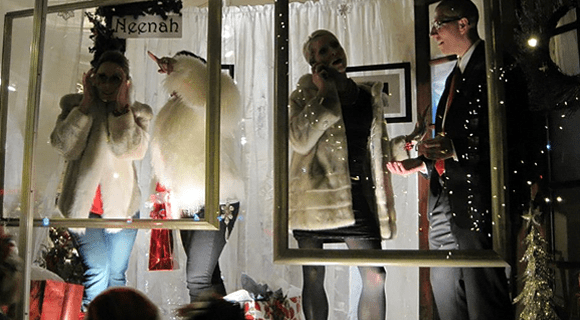 Then check out the 25 plus live mannequin window displays (real living people in freeze mode) along Wisconsin Avenue, visit with Santa, watch ballet dancers, hear a bell choir and listen to the cheerful carolers throughout downtown. 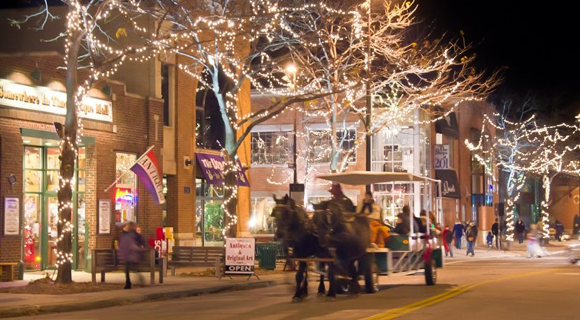 There will also be ice carving and marshmallow roasting at Gateway Plaza and free horse-drawn carriage rides! It’s an old fashioned Christmas celebration at Heritage Hill in Green Bay. Travel back to the Spirit of Christmas Past to visit with a historical Santa, see historical dancing and hear music from local performers. There will also be plenty of holiday treats and hands-on activities for kids. 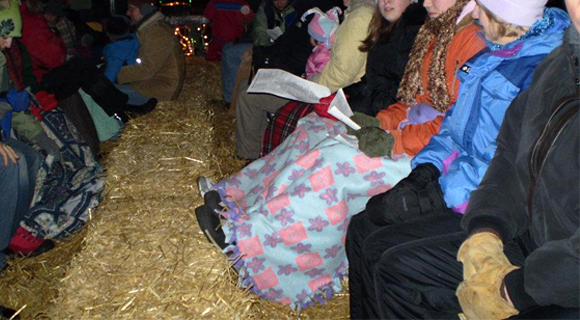 Take a horse-drawn wagon ride and cozy up to hear Christmas stories by the fire! Take a candlelit horse-drawn wagon ride on the peaceful nature trails of the Reforestation Camp. Enjoy the lights, snow leopards, lions, giraffes and more NEW Zoo critters who prefer the cooler weather. The animals are looking forward to seeing you at Holiday Fest. But don’t miss jolly ‘ole Santa who will be awaiting your visit at the Mayan Taste of the Tropics Restaurant. Join the Zoo crew from 9AM-12PM at the Mayan Restaurant for a scrumptious all-you-can-eat pancake and porkie breakfast with Santa! 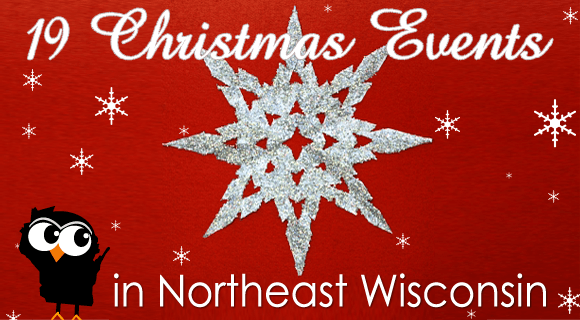 There are so many ways to celebrate Christmas in Northeast Wisconsin, it will be tough to choose! 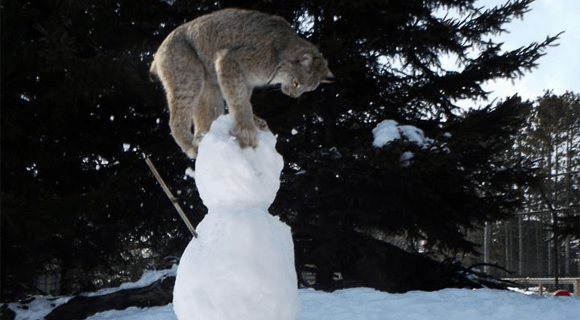 What will you do for fun this holiday season? If you’ve been to any of these events, leave a comment and let us know more about it. 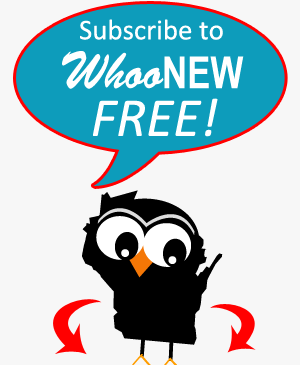 Like WhooNEW on Facebook for NEW updates and subscribe free to WhooNEW.com at the top right of the homepage. I have done #1, #3, and #10. But I did just move back here from wausau after being away for 8 years. #19 is actually December 13 and 14th. Lisa, you’re absolutely right! Sure enough the NEW Zoo has the dates wrong on their site. I called and confirmed the 13 and 14th. I will update the post and I appreciate the tip! Please share if you find out. Thank you. Hi Crystal, are you asking about the Polar Express? I just called to confirm that they are sold out. They are, unfortunately. For those of you who want to experience this event, mark your calendars and get your tickets in summer of 2014! They go on sale starting in July! A great number 20 would be A Frank’s Christmas at the Meyer Theatre! This year he is featuring the Prange’s windows! It’s great to have all these compiled in one spot. It would be helpful if ticket prices were also included in the information given. Good suggestion Jill. We often avoid pricing in our articles because we want them to remain relevant if a business changes the price. That usually pertains to small businesses and restaurants – but it might make more sense for this article. One of our traditions is The Nutcracker (by The Dance Company) at St. Norbert College. This year’s shows are 11/29-12/1. Another good one is Ripon’s Dickens of a Christmas. Thanks Eric. We’ll be putting together a holiday MUSIC events post for this year too. We’ll make sure to remember this one! It looks like this was originally posted in November of 2013. I know for sure that the theme and opening date for the Timm House in New Holstein are wrong. The theme this year is “Timm House Toyland” and the opening date is November 29th and 30th 1-4pm, and every weekend there after until the end of December. Thanks, Linda! Your help is appreciated – it’s now updated! Although it’s still not exactly right. “You’ll experience different traditional Christmas carol representations throughout each room while you enjoy festive music and holiday treats!” doesn’t fit the “Toyland” theme. Each room will be decorated based on a different children’s toy. I’d really love to share this link on our Facebook page and would appreciate the correct information. The date for the EAA is correct, but it is Saturday. what happened to the new zoo light show?? Will you be providing a list of activities for this year? Are most of the events at the same time/date again? Hi Sarah. I’ll ask the author of this article to update it ASAP. Thanks for you patience! Also A Festival of Lessons and Carols, put on by the Oshkosh Chamber Singers at Trinity Episcopal Church in Oshkosh. Dec 19 at 4 and 7:30.